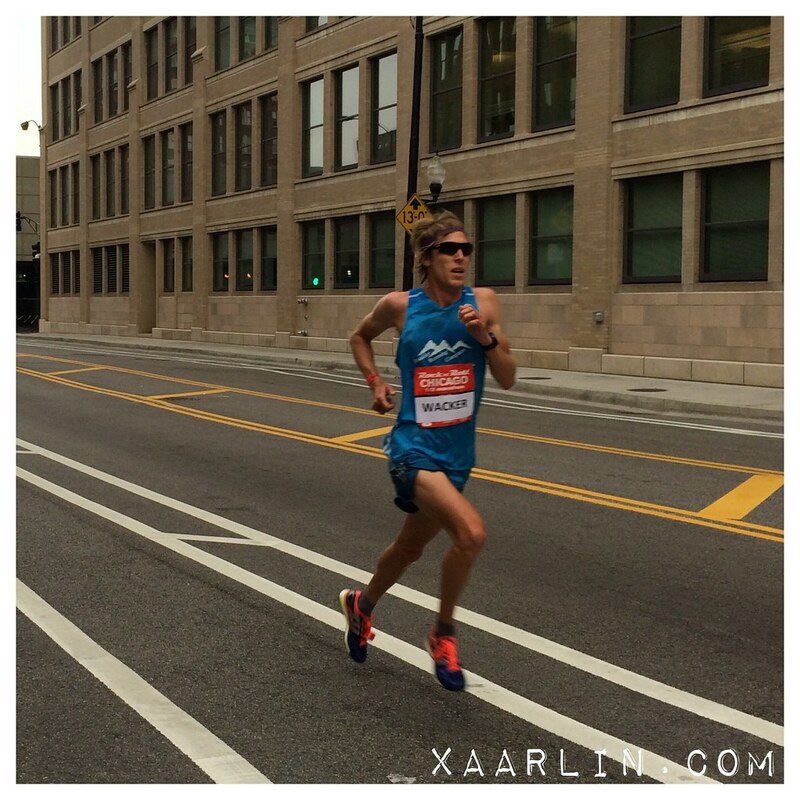 Xaarlin: Spectating RnR Chicago and My 1st OWS EVER!! Running Tuesday morning and the Cankle getting pissy again. Consequently, the PT told me not to run the rest of the week which was fine considering the time and money I'm putting Into Cankle rehabilitation and wanting a successful long term outcome. It was amazing how crunchy my ankle was when the PT performed Graston on it later Tuesday. The unfortunate part is that while the tendon is seemingly ok, the sheath around it is being ridiculously stubborn and asides from my PT exercises, and icing at home- time is the only thing that will heal it. 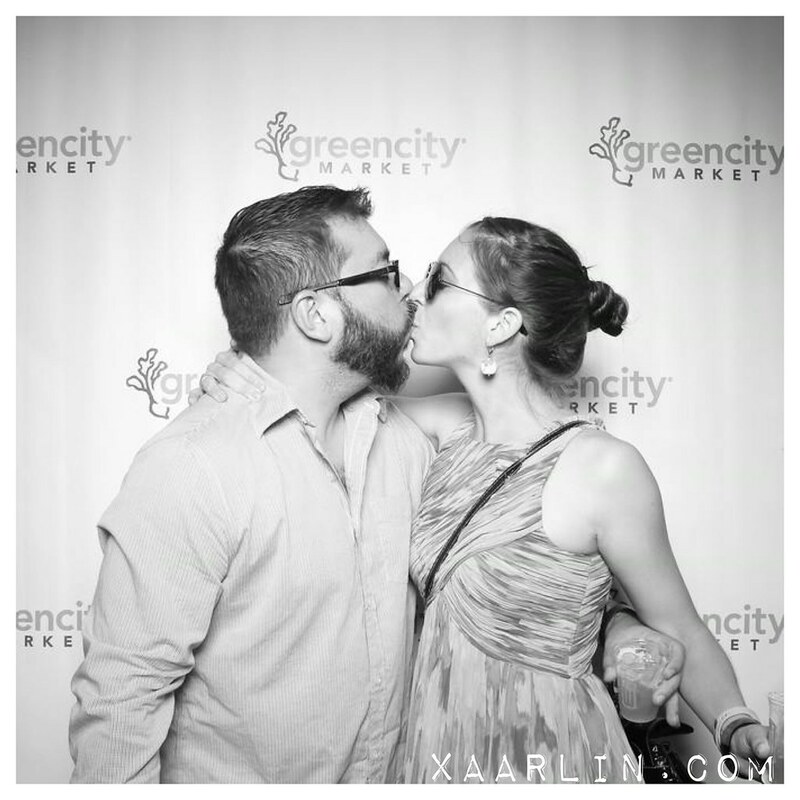 Going to the Green City Market Chef BBQ again. We've gone the past few years and have enjoyed it immensely. 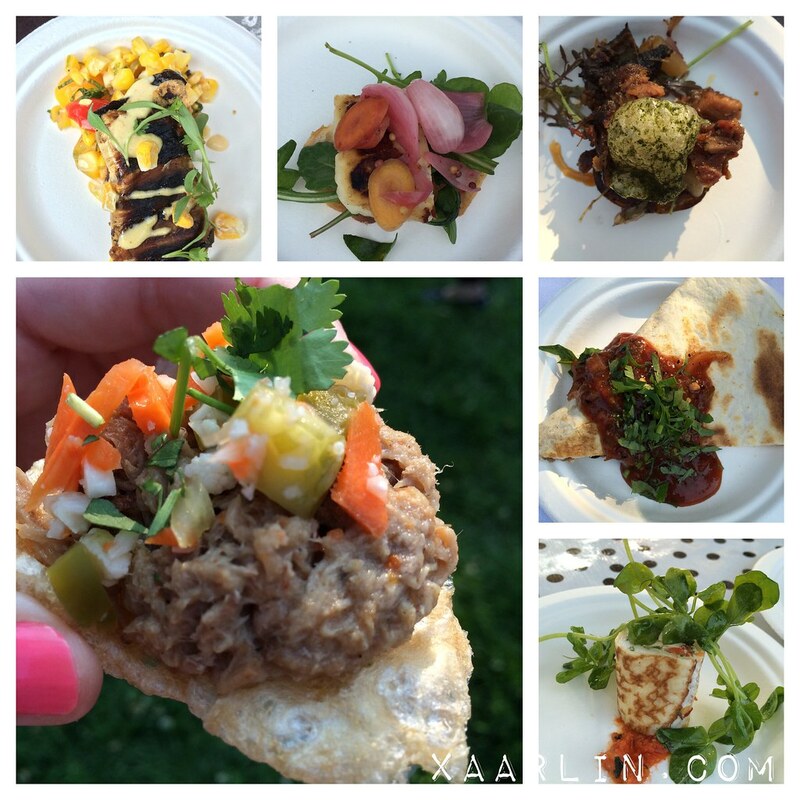 Basically many of the best restaurants in Chicago set up tents and create small plates of food. 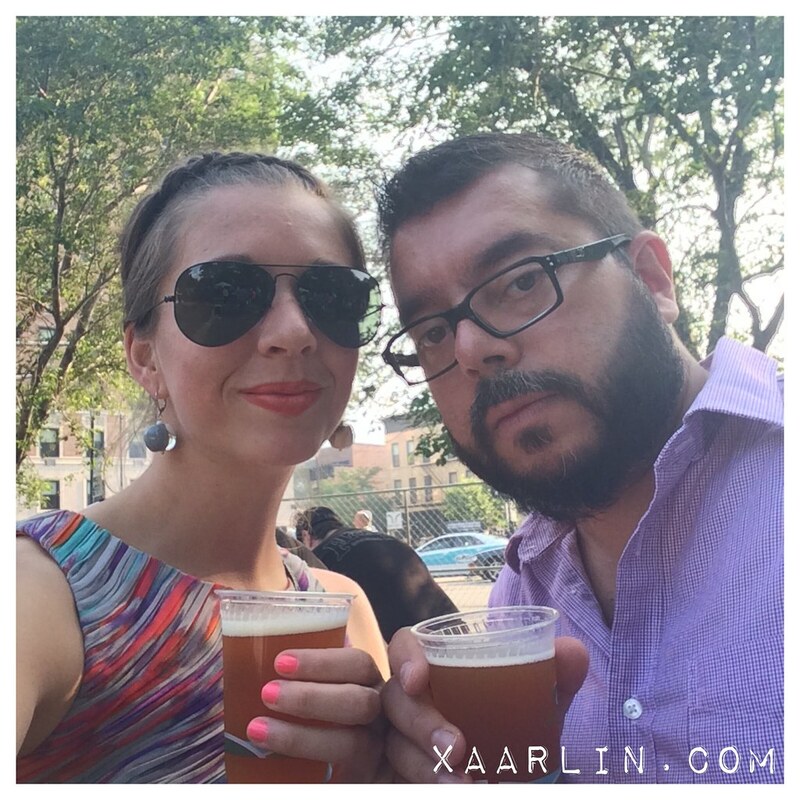 Think of it as a much classier version of the Taste of Chicago. Or the "TRUE" taste of Chicago. 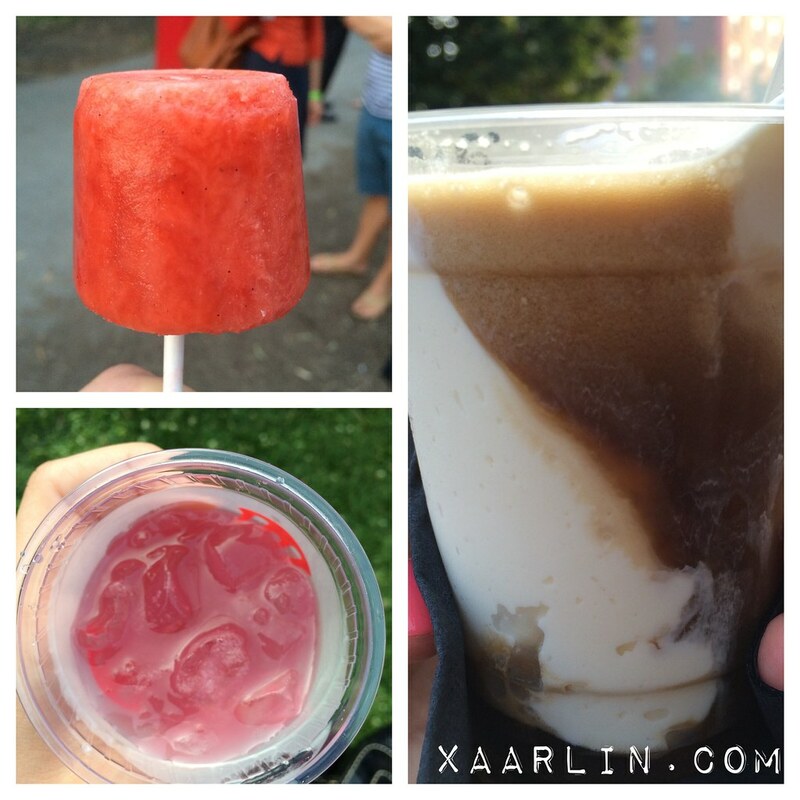 I had a stout beer float, a cherry bourbon Popsicle, tequila berry punch and many other delicious drinks. I should have realized that alternating beer and cocktails without drinking water would end in disaster, but at the time it was perfect. Friday was rough. 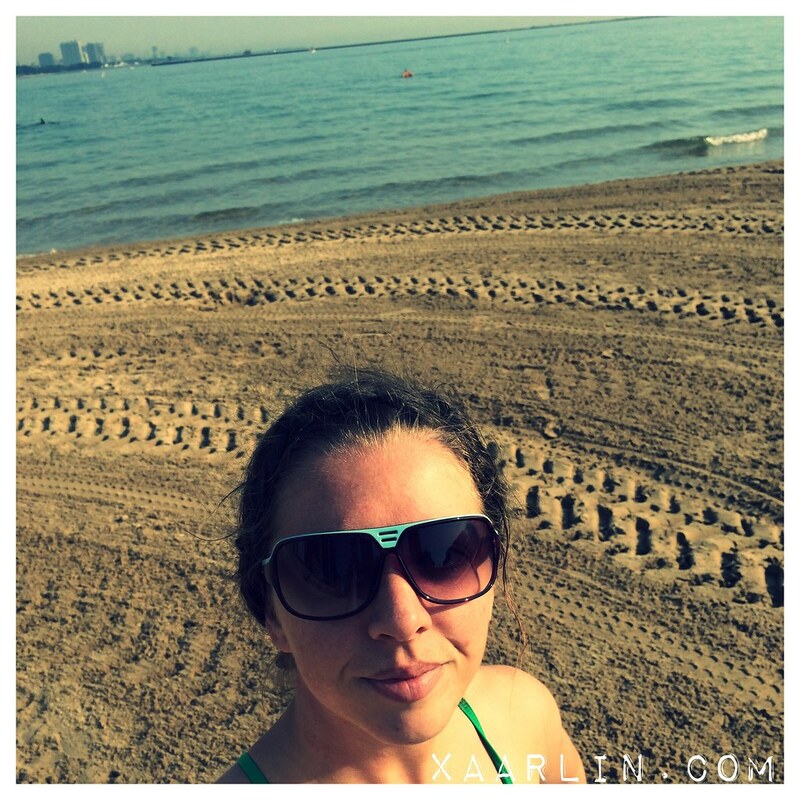 Saturday I completed my first open water swim (OWS) ever!! 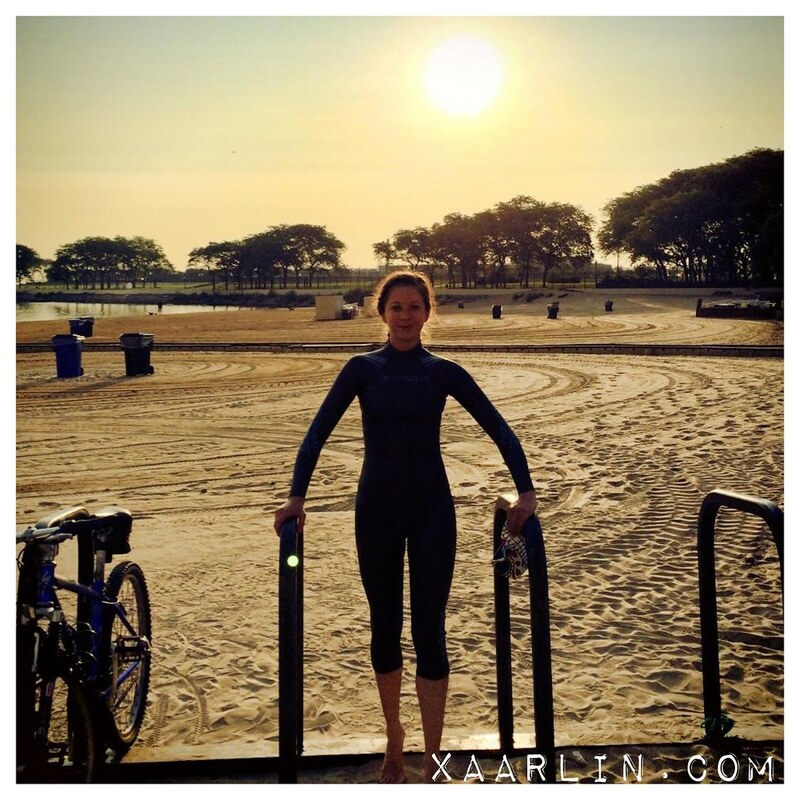 I got to the beach around 6am and stuffed myself into my wetsuit. Somehow I zipped it up all by myself!! Success! 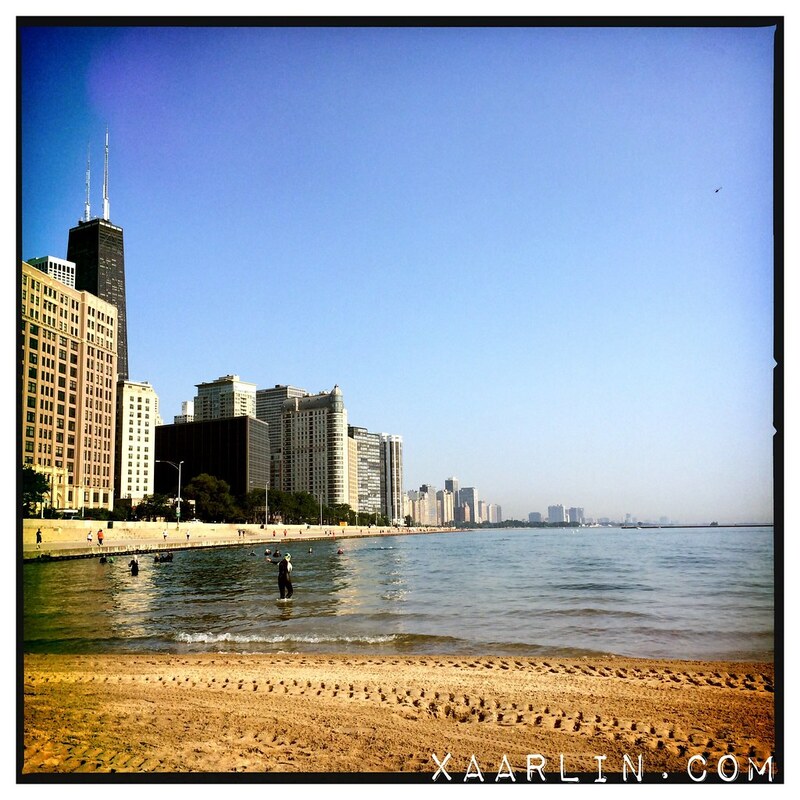 The water was a very cool 60ish degrees but with the wetsuit I felt comfortable. It took me a ridiculous amount of time to be able to breathe. I swam for a while and took breaks to stop to catch my breath. The water was smooth as glass which was good, but I still felt a little bit of anxiety. I'm really happy I went out to do this before the triathlon in 3 weeks. I would have freaked the eff out at the TRI. I felt like I was suffocating with the wetsuit on- for the TRI I don't plan on wearing it because the water will be warmer and it will take me longer to get out of the damn thing than the swim itself. Ha. I survived my first OWS and didn't get attacked by lampreys! I plan to go out a few times a week to continue to get more comfortable in the open water. Later on Saturday I ordered some food from my favorite Japanese restaurant. 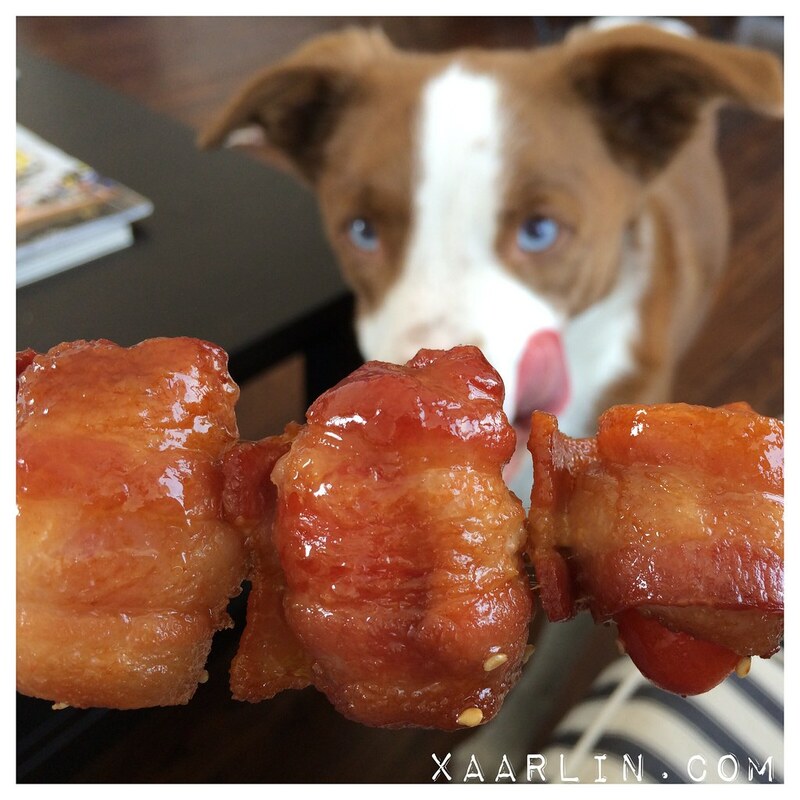 CB wanted my bacon wrapped tomatoes! Stinker! We watched a rebroadcast of the Ironman Asia Pacific championship, Melbourne and I got all choked up and and had the thoughts of how I must do this one day. (Like I've had for years and years) Patience. Also, I must learn how to swim much much better and get a road bike and overcome the cankle..sigh. 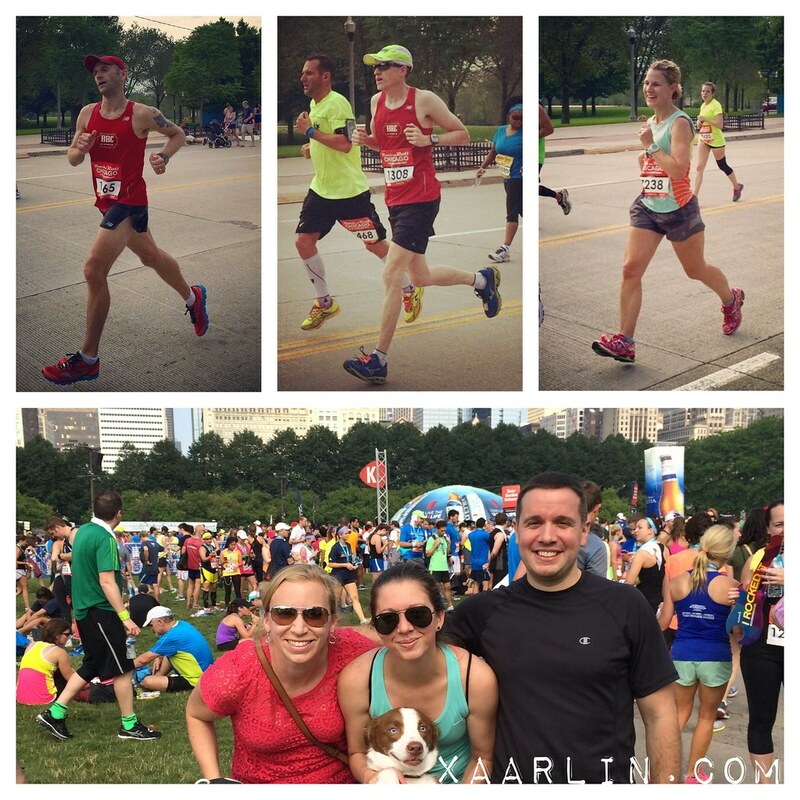 Another highlight of the week: was spectating the Rock n Roll Chicago half with Vicky and CB. I've ran this race the past 3 years, and while it stung a little to not participate, I was excited to cheer on my friends. Andy Wacker around mile 5.5, far in the lead and eventual winner. 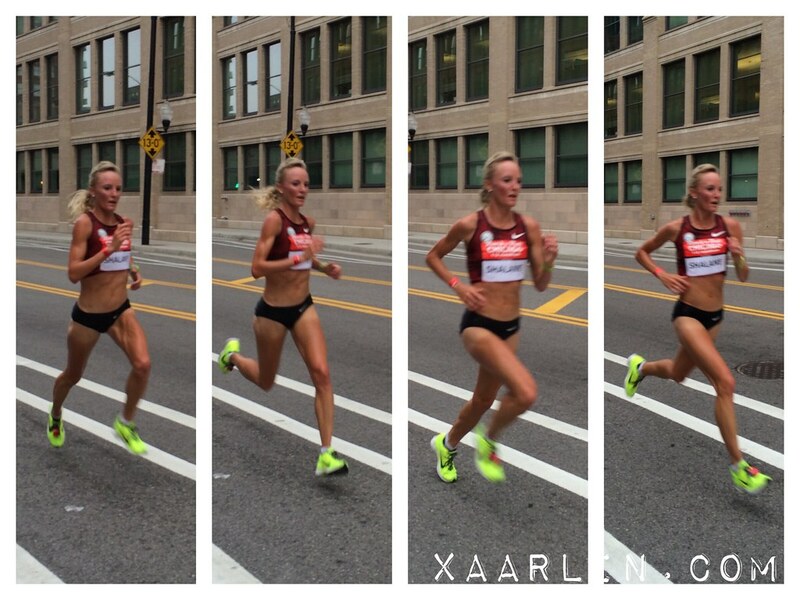 Then we saw Shalane Flanagan fly by! I also got to see Ken, Pete and Kimberlie having a blast on the course. They all look fab for this being around mile 13!! Vicky, myself, CB and Joe. Fleet feet cheer & racing teammates. We migrated over to the finish and watched Shalane zoom past us again to take 1st woman and 5th overall. 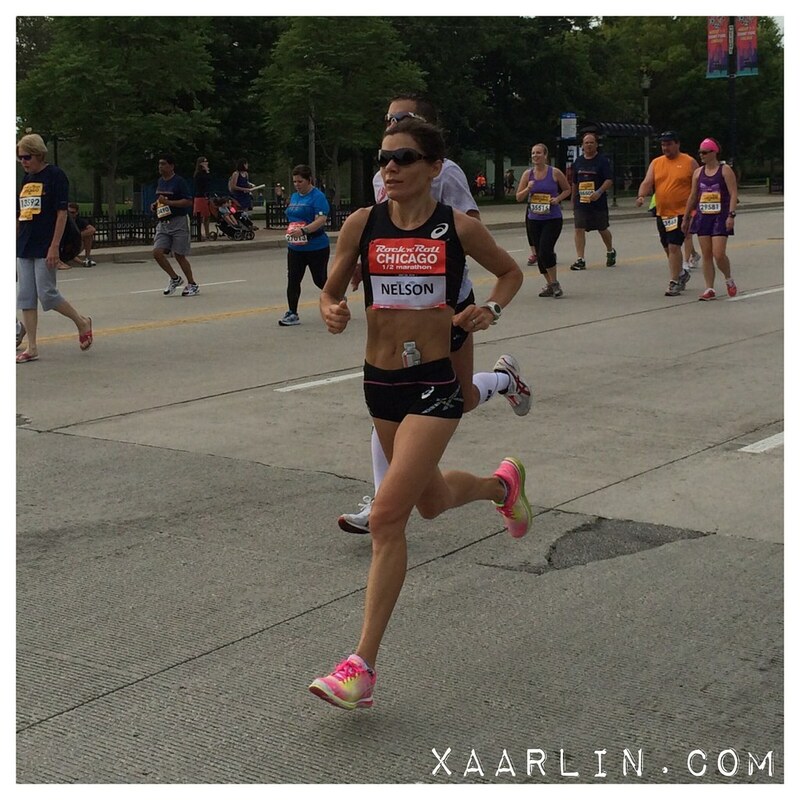 We also saw Adriana Nelson (15th woman at Boston Marathon 2014, 1st woman US Half Marathon Championships 2013) pacing her husband to a strong finish! Honestly, I just enjoy being around the race atmosphere and seeing people striving for something better and achieving their goals. It's so freaking inspiring! Another fab week in the books. I didn't expect to feel the sting of not doing RnR this year but I did. Shalane's stride looks about 18 ft. long. Nice job on the OWS! Definitely building up your good karma bank Charlyn! I've seen you at two different races this year (at least) and cheering us on really helps us out, especially at the locations I've seen you, it was pretty quiet in those areas otherwise! Really hoping for your continued quick recovery so you can get back out running again - in the meantime you have a great attitude about everything. Hang in there! Great week, have another awesome one! I second everything Ken said! 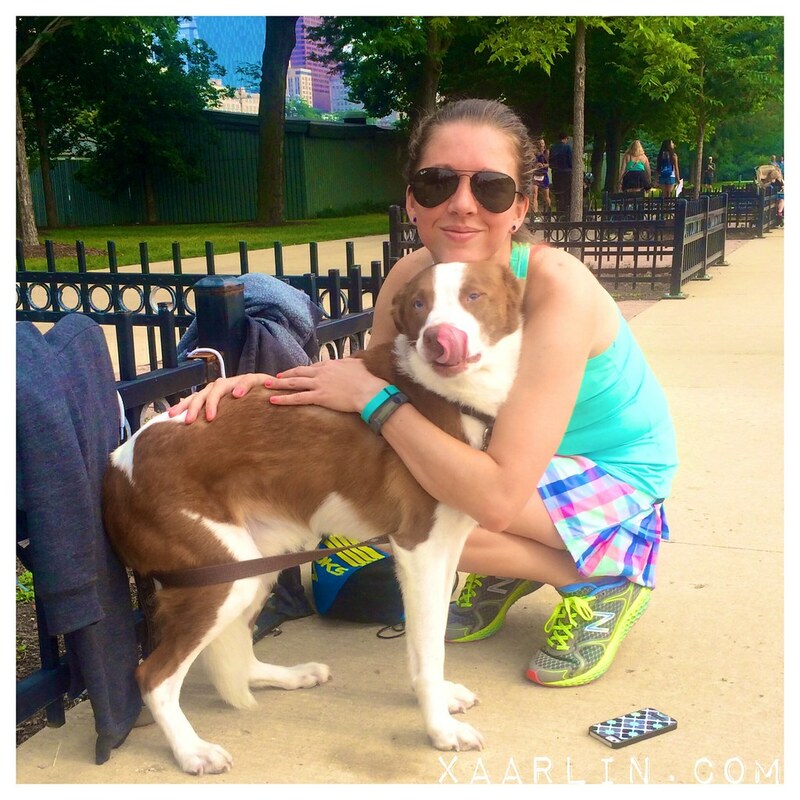 Also, I love the pics of Shalane and us normal runners, but I love the pic of CB at the end licking his nose! That is a keeper! Thanks for your on-course support and looking forward to reading about your continued successful Tri training. That BBQ sounds awesome! And congrats on your OWS! So fun! Shalane looks so strong and amazing! Sorry you had to sit this one out, hopefully you will be back for next year and stronger than ever. Gosh I sure hope that ankle quits being pissy soon! Best of luck on your TRI!! And I love spectating races too!! 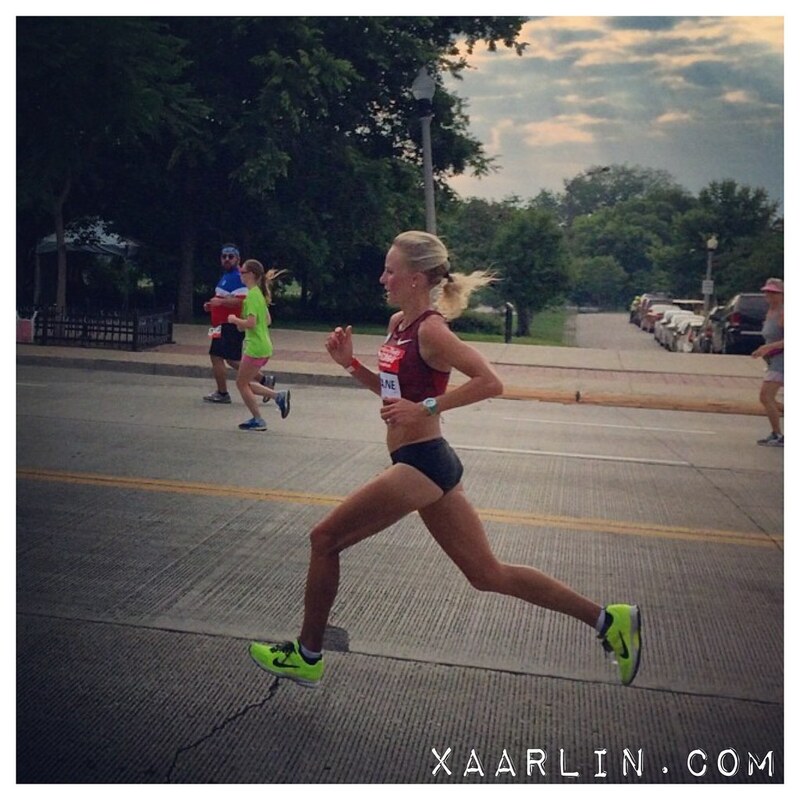 That is an awesome picture of Shalane! She gives me a run for my money, runner tan-wise, haha.